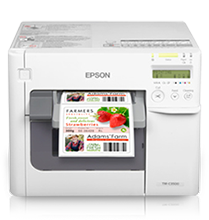 With Just in Time Color™ label printing technology, the Epson TM-C3500 inkjet label printer will produce stunning labels for your business, preferably for high-mix, low-volume applications. This inkjet printer also features a banding reduction mode and a nozzle check system, helping users to prevent some of the most common problems of commercial label production. When you purchase a reliable Epson TM-C3500 inkjet label printer from DuraFast Label Company, you know the product you're purchasing will transform your company's label printing operations for years to come. The Epson TM-C3500 comes with a 1-year standard manufacturer's warranty, 1-year extended warranty (2 years total) or 2-years extended warranty (3 years total). Contact one of our label experts today to learn more about how the Epson TM-C3500 can help you start creating vibrant labels in-house and on-demand. 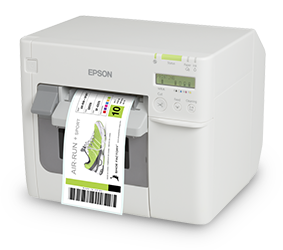 Your Epson ColorWorks label printers are an important piece of the foundation of your business - that's why you should never have to worry about being without one. With the Epson Spare in the Air upgraded warranty, Epson will send you a replacement printer within 24 hours if yours ever needs warranty repairs.